I have never had to test the ice as I am usually at the back of the line and the others did it. 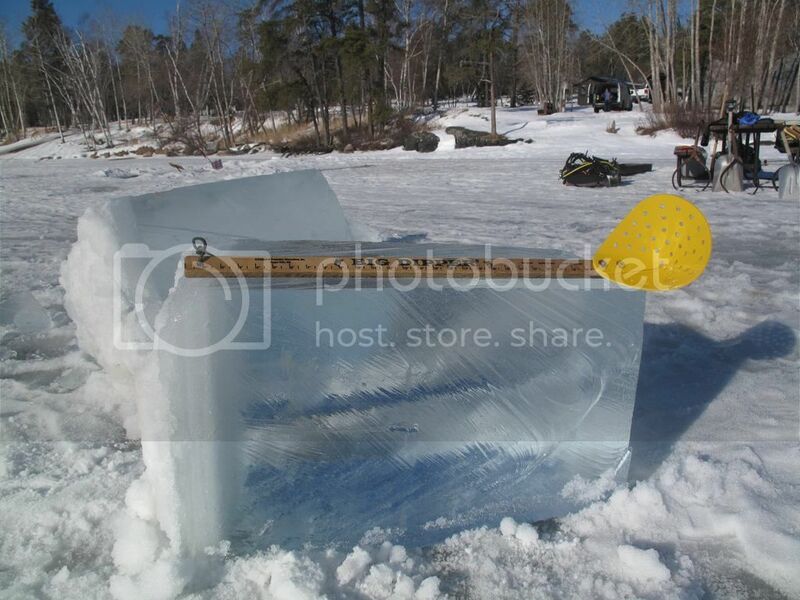 But I found this photo of how thick the ice is on West Hawk Mid March. They used a chain saw to cut it. I guess the clear ice is a sign of the cold and lack of snow & slush? Not sure if facebook links or not as I don't really use that site. With Winter over down in Southern Manitoba - its time to turn the page on this year.